For decades, Abercrombie & Fitch has been synonymous with “casual luxury” and has survived various changes in management and brand identity. Regardless of what is said, this brand still has a lot of pull in the fashion industry. Abercrombie is a top destination for shoppers both domestic and international and remains a place you can proudly put on a resume. In this article, we will talk about this brand and show you some interview questions that are often asked during their candidate screening process. You can’t be too prepared. If you enjoy fashion and are looking for a solid job you can turn into a career, then Abercrombie & Fitch may be the place for you. Abercrombie & Fitch not only offers seasonal jobs for students but also boasts a well-respected Manager in Training Program (MIT). The MIT program recruits recent four-year college graduates that wish to begin a career in fashion and business management. Q1: "How Would You Describe Your Own Personal Style?" Q2: "Why Should We Chose You?" Q3: "Where Do You See Yourself in Five Years?" Q4: "What Do You Know about Our Culture?" Q5: "Who Is Your Favorite Designer and Why?" With so many applicants throwing their hat into the ring, you may feel that you are not up to par, but that is not true. Every bit counts, and your accolades may be exactly what Abercrombie & Fitch is looking for. The first thing you will want to do is make sure that your resume is up to the task. You want to be sure that your information is updated, organized, and reflects the best version of yourself. Remember that a resume is your first impression and you will want to make a good one. Proper format is essential in a resume. Essentially what that boils down to is making sure that your jobs are shown from most recent on. All information such as dates of employment and contacts must also be listed. Try to fit your resume in a single page; this always looks more professional than a stapled document. Be sure to also list any credentials you may have such as schools you’ve attended and certifications you’ve achieved, especially if they’re directly relevant to the job you’re applying for. You’ll also want to include a section for your hobbies and interests. Don’t forget to include your contact information! Showcasing means really showing off the goods. 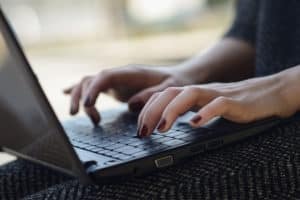 You want to highlight your best qualities and achievements in such a way as to avoid cluttering the page with so much information the employer can’t find it. It’s also important not to lie, no matter what your friend tells you. That being said, you also don’t want to be self-deprecatingly honest, either. It’s good to spin the silver lining in your experiences; you never know what’s going to grab the hiring manager’s attention. As a general rule, if it’s truthful enough for a print ad, it’s good for a resume. Remember: the aim of a resume is to get you that interview. Acing your interview is what we all want each time we sit on the hot chair. You will want to know what your aim is long before you arrive. You will want to show the interviewer you understand the brand and that you are ready to play a role in its growth. Knowing yourself is more than half the battle and letting your personality shine will take you a long way. Relax. Yes, interviews can be nerve-wracking, but don’t be nervous; they’re more afraid of you than you are of them. Be eager to show what you got! If you know you have the credentials and personality to shine, there should be no reason you can’t succeed. Be honest with your answers and let them get to know you beyond just being another applicant; show your individuality. That doesn’t mean rip your shirt off and dance on the hiring manager’s desk, but do not be afraid to let them know what your interests are. You’ve got nothing to worry about; they want to know the real you. Do not be late. Seriously. Don’t. We cannot think of a more sure-fire way for you not to get the job than showing up late. Plan for traffic and other delays, and leave yourself some extra time on top of that. Dressing the part is another tip to acing your interview. For Abercrombie & Fitch, it would be a nice touch if you own any of their clothes. Even just a shirt from A&F can let the employer know you are committed to the brand and also allows them to see you in the attire you would likely wear in the store. This is an important aspect you want to keep in mind. Knowing the background of the brand you are applying for will have you feeling prepared for anything they throw at you. Did you know Abercrombie had a major CEO change less than ten years ago that completely revamped the entire brand and shifted focus to a more affordable style? That is something you should know. Understanding who you will work for will open the door to you being able to ask questions of your employer and believe us, they enjoy a person who wants to learn more about the brand. We have compiled here five questions from an Abercrombie & Fitch interview. The questions are meant to highlight tips we gave you and how they come into play. The questions at an actual interview may differ, but this will give you a superb idea of how an interview for Abercrombie & Fitch may play out. Are you ready? Let’s do this! A1: "You are working for a major fashion brand, right? This question is likely if not guaranteed to be asked, and you need to know how to answer it. Any fashion brand in the world is looking for individuals who love fashion and recognize it on themselves and on others. Abercrombie & Fitch brands their apparel on a lifestyle that is casual, fun, and young. This is where dressing the part may help you because if you can put a good outfit together on yourself, you can do the same for someone else." A2: "You know this question is coming your way during an interview. Even though most people see it coming, it can become a difficult question to answer. This is where our tip of honesty comes into play. When you are honest with yourself you’ve got nothing to hide, and your answers materialize organically. You know you want the job, and so long as you have prepared you know you should be the one to get it. Keep calm and tell the truth; it’s your best weapon." A3: "Most interviews will reach this intersection at some point, and you need to be prepared. This is where researching the brand comes into play as you will want to know not only what Abercrombie & Fitch is all about but where you may fit in the long term. Knowing what you want to get out of an interview is a major part of acing it. Abercrombie & Fitch offers opportunities at many levels, so express your desires at the interview. Honesty is key as always." A4: "At Abercrombie & Fitch, brand and culture are everything. Getting familiar with the message of the company can win you some big points during the interview. Abercrombie & Fitch is all about a young energy that is inclusive and open to change. Abercrombie has come a long way from the days of ripped jeans and muscle men on the windows. Lately, they have become a forward-thinking brand that keeps up with current fashion trends. Study how these changes have affected the brand and how you may contribute to the direction they are moving in. Stay sharp." A5: "This question gets asked often at fashion retail interviews because it makes sense. A fashion designer will want to know how you perceive fashion. Your favorite style of clothing and designer says a lot about you as a person and lets the employer know if you are a good fit for the brand. A great stylist understands that fashion is all connected even when styles seem to be total opposites. The more you understand of the fashion world and its quick-changing ways the better off you will be come interview time." 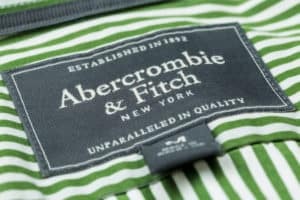 Now you know the questions you may encounter if you pursue a job with Abercrombie & Fitch. Remember that the interview is just the first step to a rewarding career that will bring with it many challenges. Your greatest weapon is yourself, and we are sure you got what it takes to make a great first impression. Get yourself ready and dress the part; the next big thing is just around the corner.